Choose a used Nissan Versa and you’ll drive home in an affordable, fuel-efficient sedan with one of the segment’s biggest backseats. 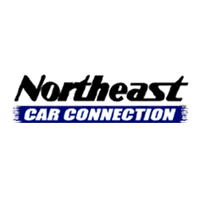 What do you need to know when you visit the used car lot? Check out our buying guide to find out how the Versa has evolved since its 2007 debut. Why buy the second-generation used Nissan Versa? Bring this sedan into your fold for a commute that’s both comfortable and fuel-efficient. 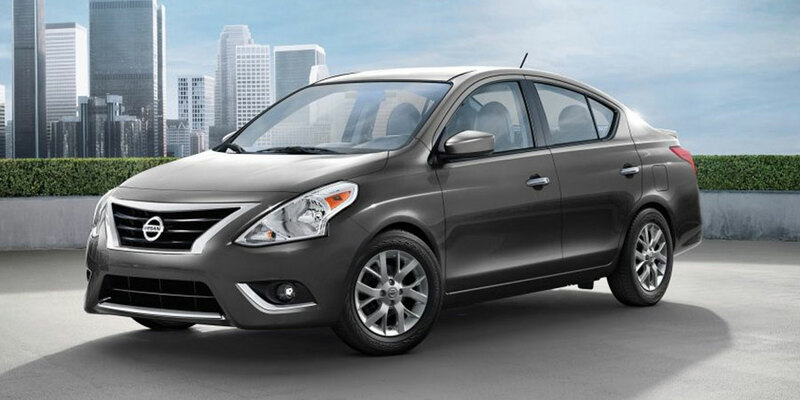 Choose from four Versa trim models for the amount of equipment that suits both your daily drive and your budget. The base S starts you off with everything you need for a comfortable ride, including air-conditioning and a height-adjustable driver seat. Climb to the S Plus for performance-enhancing gear like cruise control and a rear spoiler. In the SV, you’ll find increased interior style and convenience, thanks to higher-quality cabin trim and a folding rear seat to expand the cargo hold. Finally, the top-trim SL adds a level of luxury with keyless entry and ignition and a street-smart infotainment system that includes Bluetooth and USB connectivity. How has the second-generation used Nissan Versa changed over the years? For 2015, Nissan refreshed the Versa’s look, both inside and out. The new design gives these sedans an increasingly modern, refined style. Bluetooth also became standard equipment for 2015, helping you stream audio and make hands-free calls from devices without any pesky wires. In 2018, the top-trim Versa SL was eliminated, taking high-tech features like navigation and keyless entry and ignition with it. Why buy the first-generation used Nissan Versa? This generation has quite a few attractions. For starters, the cabin is the complete package, with plenty of space, seating comfort, and modern convenience features. 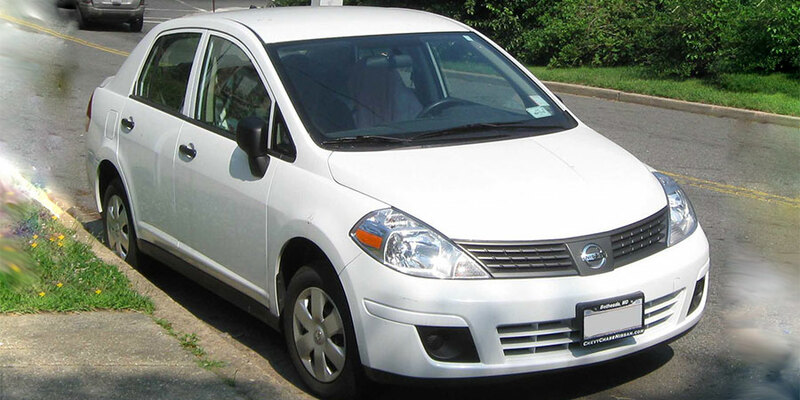 Once you hit the road, you’ll be content to spend hours inside this used Nissan Versa. The Versa’s optional 1.8-liter engine is especially fun to drive, delivering plenty of power to get you up to speed. At the outset, this generation’s base model was a punchy, 122-horsepower four-cylinder engine paired with a six-speed manual transmission. If you prefer a sedan that shifts gears on your behalf, look for an early first-generation model with the optional four-speed automatic transmission. After a 2009 refresh, the Versa’s base model came standard with this four-speed automatic, and higher trims used a thriftier continuously variable transmission. If you’re shopping this generation, make sure you double-check the features list for important safety features. Before 2010, antilock brakes were optional for all Versa models. This stopping technology helps to keep you from skidding as you come to a halt over slick pavement.